Writing a graphic design resume is very challenging even for seasoned designers, not to mention those who apply for entry level positions. 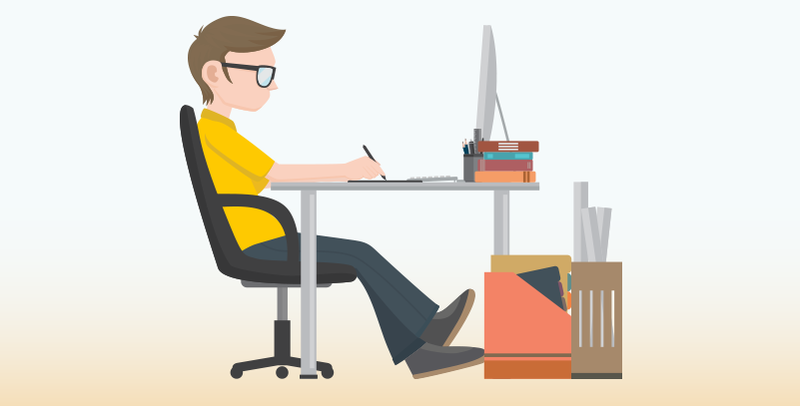 It doesn’t matter if you require a graphic design student resume or plan to join the run for a higher position, writing a resume that presents you as a standout candidate can be quite a challenge. It’s a creative field, but having an outstanding design talent does not guarantee you have the necessary writing chops. 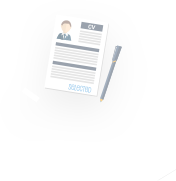 Luckily, with our guide you can make a convincing resume that would make you the star of the selection process for any job. Design trends change regularly, but the importance of a strong resume for securing your coveted position in the design business remains the same. Find out how to make a graphic design resume that will get you that job you’re dreaming of! How to craft an eye-catching graphic resume? Designers should actually consider themselves very lucky: there is hardly another profession that allows the applicant not to simply list their past jobs and skills, but also showcase their talent at the same time. A particularly successful approach to making a cool graphic designer resume is to treat it like another work from your portfolio as a designer. You wouldn’t put a plain-looking resume filled with standard fonts on your portfolio, and it’s equally bad for your chances of landing the position you truly deserve. Check out some general tips for a strong graphic design resume. Include your contact information on the very right corner of the page - namely, your full name, email address, telephone number, physical address (optional), and an active link to your portfolio. Next comes the objective statement or career summary, where you are expected to express your career aspirations and achievements in just 2 to 3 sentences. The next part of the resume is especially important, as here you are expected to present your professional experience. Use a reverse chronological order to list your past positions with an emphasis on what you achieved in each workplace and the things you were responsible for. This is where your freelance experience goes as well. You can add a brief segment about your education, especially if it’s pertaining to the position you aim to get. Use the same reverse chronological order to list the trainings and qualifications. 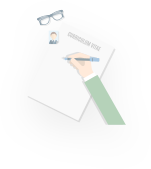 Personal information, such as activities and interests, is a valuable aspect of a resume that allows you to paint a complete picture of yourself as a candidate. Always read your graphic design resume after completing the first draft to see what is missing and what can be improved in the CV. If you’ve ever looked for a job in the graphic design industry, you’ve probably noticed how different designer resumes are from the rest of applications. 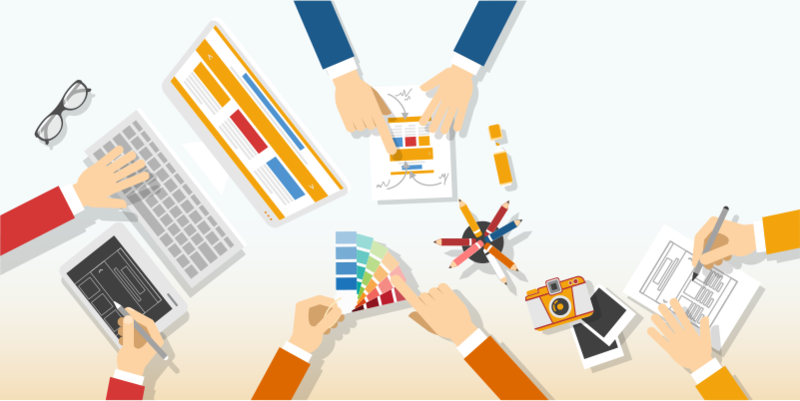 In addition to simply listing the skills of the applicant, the best graphic design resumes often give the potential employers of what the applicant can do. However, it’s difficult to get the format of this type of resume right. When it comes to resumes for graphic designers, samples are the best way to know exactly what is expected of you. A graphic designer resume example can give you the info and inspiration needed to craft your own work. Use this sample graphic design resume to find the job you dream of! When studying how to make a graphic design resume, it’s crucial to remember the fact that the potential employer is going to give your resume a quick look to see what makes you different from dozens or hundreds of other candidates who compete for the same position. We’re not saying your resume is expected to reinvent the wheel, but it does need to persuade the manager reading your CV that you at least deserve an invitation to an interview. The most vital sections of your resume are the ones where you present your relevant working history in the design field. Make sure to highlight your most noteworthy accomplishments and follow these tips to get your resume to truly shine! Want to get a resume from a professional writer? In an ideal situation, your resume shouldn’t be longer than one page in a standard font, so try and be brief. Change your resume for every job posting you apply to, so that the skills and accomplishments of your career precisely match the job description posted by the company. All information included on your resume must be closely connected to the job ad you’re responding to, which means internships and summer jobs that are not connected with design, as well as your hobbies and marital status, are not needed on your graphic design resume. Your resume needs to have a logical structure and be free of any grammatical or stylistic mistakes. Reread your resume a couple of times before sending it out or ask someone not from a creative field to give your finished resume a look to check whether it’s well-written and mistake-free. The style of your web and graphic designer resume needs to reflect not only your experience in the industry, but also you being part of the design world. That is why the information on your resume has as much importance as the style. Whether you decide to present your skills resume in a plain format with a link to your online portfolio or choose a different format, for example, an infographic, it’s essential to keep the information on the resume easily accessible and readable. When talking about creating a resume for graphic designer, Microsoft Word is not your best option. InDesign or Adobe Illustrator will grant you much more room for choosing the perfect design concept for your designer resume even for entry level positions. Before sending out your resume in .doc or .pdf formats, check the file size, and if it’s bigger than 500Kb per page, it may be necessary to adjust the content of your resume to reduce the file size. Unless you are responding to a freelance job opening, where you need to demonstrate all your skills at once, you need to create two copies of your resume: a plain-text resume for sending out as a digital file and a designer version of the resume that you’ll get a chance to demonstrate during the interview. Even though a graphic designer resume is only the first crucial step in landing your dream position, it’s often the thing that can make it or break it in terms of your employment. If you hit a creative block or are not sure how to present your design skills in the best possible way, our writing service will be always happy to assist you in creating a resume that will make you irresistible for the employers!